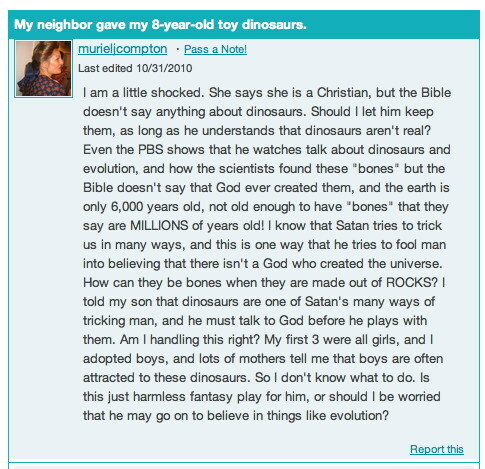 Dinosaurs are just one of Satan's many ways to try to get you to understand scientific fact. Avoid them at all cost. Ha! That cannot be for real! The sad thing is that I have met people like this. No wonder Bachmann is leading in the scarecrow polls. I don't even know what to say to this. I mean, how sad!